Hap is married to the former Drusilla Marie Propps, they have a son Jackson, the parish’s Deputy Minister. Jack is studying under Bishop Jerry Ogles, Presiding Bishop of the Anglican Orthodox Church and teaching the communion's Received Text Course. Hap was conceived in Alaska, born in Minnesota, lived in Pennsylvania and ended up in California where he joined the Navy Reserve while in high school. Upon graduation from college he entered the US Air Force for duty as a pilot. After active service in the England and Europe flying F-4Ds primarily out of RAF Bentwaters, he returned to Southern California in 1977 where he has lived since. After 20 years service with the California Air National Guard flying O-2s, F-4Cs, F-4ES, RF-4Cs and KC-135E/Rs, he transferred to the Retired List with a total of 30 years and 2 weeks service. Since leaving active duty, he has been a pilot for Continental Airlines and been involved in aviation and marine accident investigation. 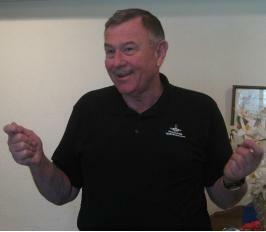 He is currently President of Arnold and Arnold, Inc., a specialty insurance adjusting and accident investigation firm. Born into a Christian family which attended a Lutheran church, the family became Episcopalians in 1959 with the move to California. Hap was an Acolyte and Camp Counselor until he joined the Navy Reserve. When he came back from England, he found the Episcopal Church had left its previous course. He joined with various continuing churches. 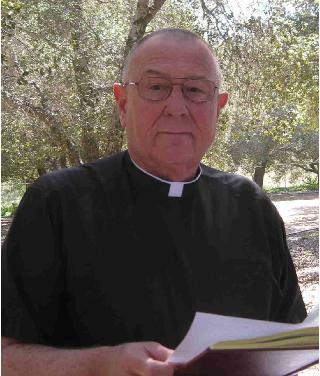 Hap accepted ordination through the Saint Luke Evangelical Christian Ministries and formed the Independent Anglican Church parish of the Church of the Faithful Centurion. The parish joined the Anglican Orthodox Church in 2011. The parish is a traditional Anglican Church adhering to the Holy Bible (KJV) in all matters of Faith and Doctrine, a strict reliance on the Thirty Nine Articles of Religion, the two Sacraments of Baptism and Holy Communion, the Two Creeds, and the Homilies and formularies of the Reformation Church of England. We are a low Prayerbook Church; we use the 1928 American Book of Common Prayer and are confident is it well understood by the common person of ordinary education. While we are litugical, we are not sacerdotal. We have a minimalist approach to the Prayerbook, following all the shalls and very few of the mays. We are conscious of walking in the footsteps of those who have gone before us serving God in the Anglican Tradition. We are exceedingly happy in the Anglican Orthodox Church and enjoy the refreshing atmosphere of joyful honesty. We like not having full time paid ministers. We don't wear vestments, but we could do black and white or just black from time to time. We don't consider the titles, the dress or the theatrics to be important. We can and do "dress up", but what church is about is the worship of God and the study of His Word. It seems that a lot of the high window dressing is distracting. The 1928 BCP seems to contain all you need for almost all worship, gingerbread, bells and whistles just distract. The KJV or AV is written at the high school level. If people have difficulty with it, let's help them, not just give them a message.